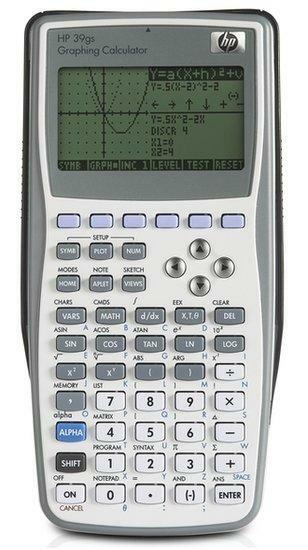 HP 39gs is the replacement model for the HP 39gs Graphing Calculator. Serial and USB cable included. The HP 39gs is permitted for use duing SAT I, SAT II Math IC / IIC, ACT, PSAT / NMSQT, AP Chemistry / Physics, PLAN, EXPLORE exams. Power: AAA x 4 + CR2032 x 1 (commonly available from photo shops), auto power OFF in 5 minutes. Tagged By: HP 39gII (EOL), HP 39gs - Activity Workbook, HP 39gs Aplet - Euler’s Method of Numerical Integration, HP Calculators Timeline, HP 39gs Aplet - Sine and Cosine Rules, HP 39gs E-Lessons on the Go, (a) Cost Estimation with Linear Regression, HP Calculator Connectivity Kit (CONNX3) for HP39gs or HP40gs, HP Solve. I&apos;m in trouble with definite integral calculation on HP39gs (ROM v2.22）. The following expression does not become zero. Is this something like bug?